Spread over an area of about 6000 sq. km. 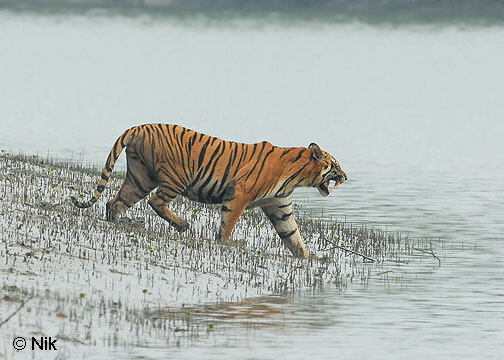 of delatic swamps along the coastal belt of khulna, is the world biggest mangrove forest, the sundarbans-The home of Royal Bangal Tiger. These dense mangrove forests are crossed by a network of rivers and creek. Often Tiger swimming across a river and huge crocodiles basking in the sun with other wildlife such as cheetahs, spotted deer's, monkeys, Paythons, Wild bears and hyaenas.Main tourist spot is Hiron point, Katka, Dublarchar, and Tin Kona Island. Water transport is the only means of communication for visiting the sundarbans from Khulna and Mongla.